One of the perks about going vegan is that I always find vegan products in the supermarkets getting slashed because its not really popular. Managed to get my hands on 2 tubs of vegan ice cream at 60% off! Chocolate Fudge Brownie from Soy Dream was pretty good! Loved the fudge brownie bits. But was really disappointed with It’s SOY delicious’ vanilla ice cream. The texture was pretty bad and it tasted so artificial. First and last time buying it. Loving this new coconut oil i bought. No overpowering coconut smell and taste. Perfect for my raw recipes. 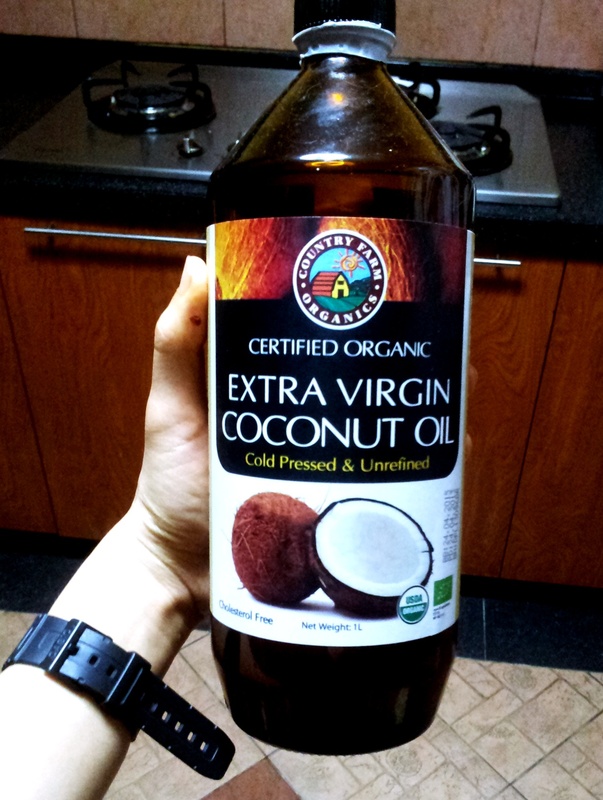 Always get cold pressed coconut oil so that it remains raw! In the meantime, this gives me a free pass to buy new goodies in the name of blogging haha…Till the next round up! This entry was posted in OTHERS, VEGAN & RAW IN SINGAPORE and tagged apples, coconut oil, mason jars singapore, product reviews, vegan ice cream, vegan products in singapore, vegan singapore by Sheryl. Bookmark the permalink. Reblogged this on Lisa B. DuBois . 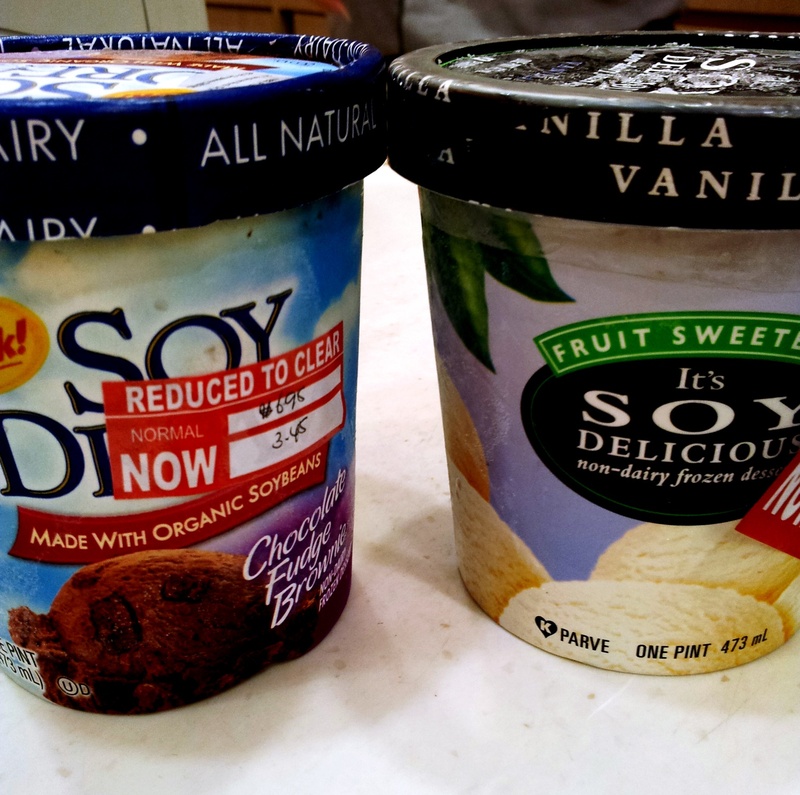 I also bought that soy ice cream when the price was slashed, haha. I agree with you, the texture and the flavour were really artificial – Especially the vanilla. Keep blogging! Keep posting! Don’t stop! Thanks for the encouragement Luke! May I know in which particular supermarket AND location that you usually find the prices for the vegan ice creams slashed? Hi Kingsley, you’ll have to try Cold Storage or Jasons. The branches that stock up vegan ice cream (that i know of) are Plaza Sing, Guthrie House, Cluny Court, Great World City, Changi City Point, and Paragon. At least these are the places which I’ve bought mine=) Im sure there are more places, normally they are stocked at the larger outlets and around the more affluent neighbourhoods. You may also wanna check out Brownice, a vegan ice cream shop in Singapore! Its a Sin Ming Drive. DELICIOUS!